This is ironic since I'm not even posting a Fall recipe, but I have been doing lots of Fall baking and have some yummy recipes to share with you soon. Last weekend I put out all the Fall Bath and Body Works soap and wallflowers, and picked a great big pumpkin from the garden to harvest. We might've also put out every Halloween decoration we own, even though it's only September. It finally looks and smells like Fall inside the house, and I'm nothing short of giddy about it. Before Halloween sneaks up, I wanted to share another great recipe you can use to get rid of some of your extra Halloween candy. 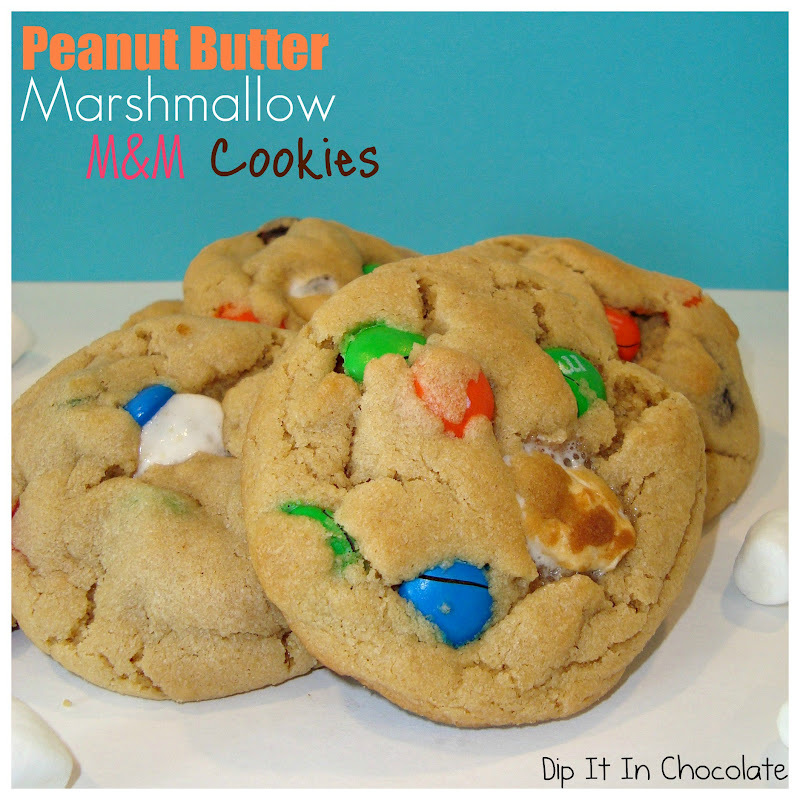 Seriously when I made these I used the last 10 packages of plain M&M's we got from Mickey's Trick or Treat party last year. Candy at the dollar store is at least 3 years old so I figured we probably wouldn't drop dead or anything. So far, assumptions confirmed. These cookies are soft and gooey and delicious. They are great out of the oven or even a few days later. They will stay soft and the marshmallow won't firm up much. You can use peanut butter M&M's if you want in place of plain. I've looked EVERYWHERE for green/purple/black Halloween peanut butter M&Ms, but no luck. How cute would those be for October? Eek!